'That ugly red fungus killed all the wheat for flour, killed all the oat, and sugar cane for sugar and golden syrup, along with all the grass for cows and butter. Killed just about every ingredient that me and Dad used to use when we made Anzac bickies. I don't think I'll ever see another Anzac bickie in my whole life. 'Ella and her brother Emery are alone in a city that's starving to death. If they are going to survive, they must get away, upcountry, to find Emery's mum. But how can two kids travel such big distances across a dry, barren and dangerous landscape? Well, when you've got a few big doggos, the answer is you go mushing. When Emery is injured, Elle finds herself suddenly responsible for safely navigating the wheeled dog-sled through rough terrain, and even rougher encounters with desperate people. 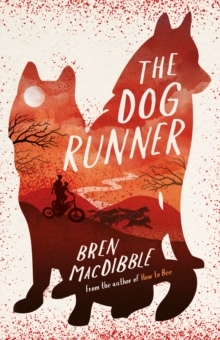 As with 'How to Bee', Bren MacDibble has set 'The Dog Runner' in an all-too-possible dystopian future Australia where climate change has taken hold. Her compelling adventure underlines the depth of ancient knowledge and the human ingenuity which will ultimately give tomorrow's generations hope of averting ultimate global disaster.